The racing world awoke on Saturday morning with the sad news that Mari Hulman George had passed away at the age of eighty-three. She was, of course, the IMS Chairman of the Board Emeritus and former Chairman from 1988 to 2016. She was also the daughter of Tony Hulman and Mary Fendrich Hulman. The Hulman-George family has owned and provided oversight to the Indianapolis Motor Speedway since Mr. Hulman purchased the track in the fall of 1945. Mari Hulman George was Chairman of Hulman and Company in a period of unprecedented expansion and controversy for IMS. The track expanded from its once a year usage in May; to a NASCAR race, a Formula One race and a Moto GP event. She was also Chairman when her son, Tony George, founded the Indy Racing League. 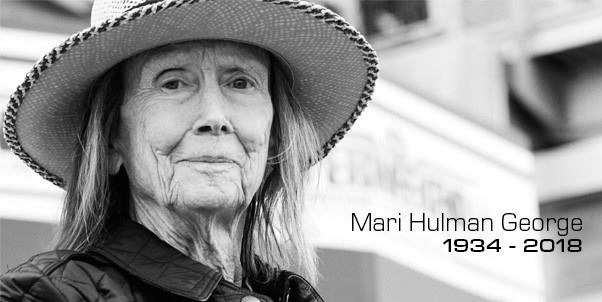 As the weekend progressed, the tributes and accolades poured in from all over the world for Mari Hulman George. Her contributions to the racing world were many and well known. But the one common theme from practically everyone mourning her loss, documented what a humanitarian she was. While most everyone remembers her giving the command to start engines at the Indianapolis 500 from 1998 to 2015, as well as being involved in racing since her famous father bought the track – few knew of her tireless philanthropic efforts throughout Indiana. For decades, she was a fixture working with Indiana Special Olympics. She was also a proponent of the arts and contributed time, effort and financial support through various institutions in Indianapolis, Terre Haute and throughout Indiana. She was also very active in rescuing retired racing greyhounds, adopting many of them herself to retire to her farm. She raised, bred and rode horses and many of her thoroughbreds raced and competed. Based on everything I read this weekend, I came to the following conclusion. While Mari Hulman George may be known best for her contributions to racing and the Indianapolis Motor Speedway – those that knew her best will remember her primarily for her generosity and commitment to those less fortunate. While the racing world has suffered a great loss, so have many charitable causes in central Indiana. It is comforting to know that the Indianapolis 500 and the Indianapolis Motor Speedway will endure well into the future. Hopefully, her charitable efforts will also. Ms. George is survived by her son, Tony George; as well as her three daughters, Kathi George-Conforti, Josie George and Nancy George; as well as a step-daughter, Carolyn Coffey. Please keep the Hulman-George family in your thoughts during this difficult time. This entry was posted on November 5, 2018 at 4:04 am and is filed under IndyCar. You can follow any responses to this entry through the RSS 2.0 feed. You can leave a response, or trackback from your own site. Well done George. She was quite a remarkable woman and a good friend to that Foyt fella and his family. Thanks George. A lovely tribute to a remarkable woman.